Phenix AC straight 1-position earth stick tester is being used for mobile application of testing earth sticks in the field. 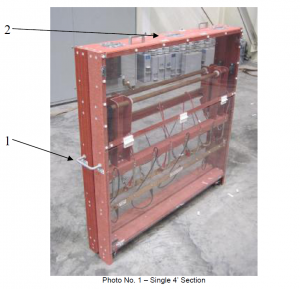 The test chamber includes 1 test fixture and is energized by an external HV transformer. 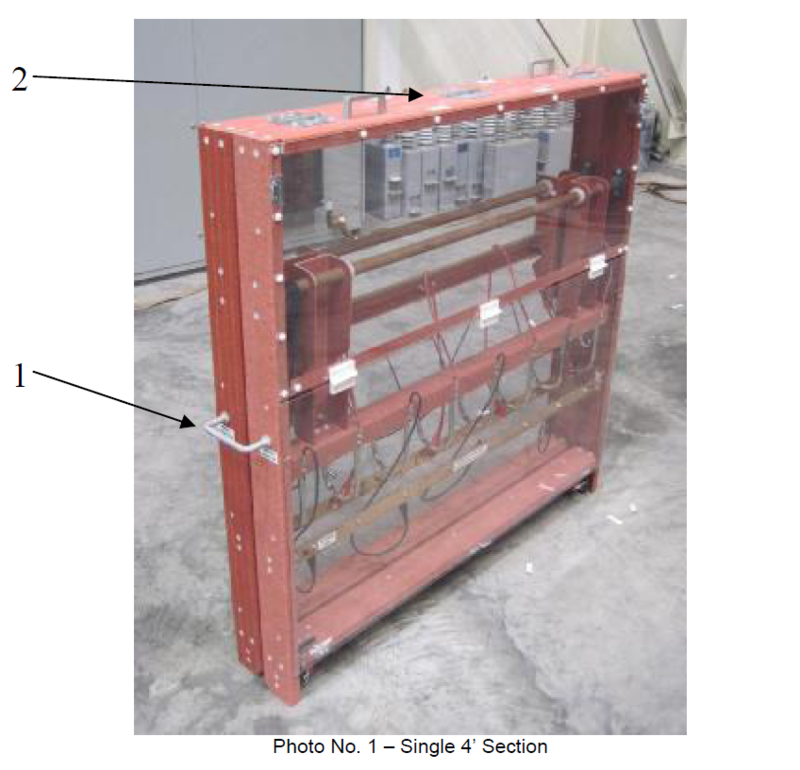 The TS-PSSTR Tester is to be transported and stored in the folded position. Two four foot sections are used in order to test up to an 8-foot hot stick or 8-foot segments of longer hot sticks per test cycle. It is possible to use more than two sections in order to test longer lengths per test cycle. Photo No. 1 shows a single four foot section in the folded position. The unit must be unfolded in order to test hot sticks. 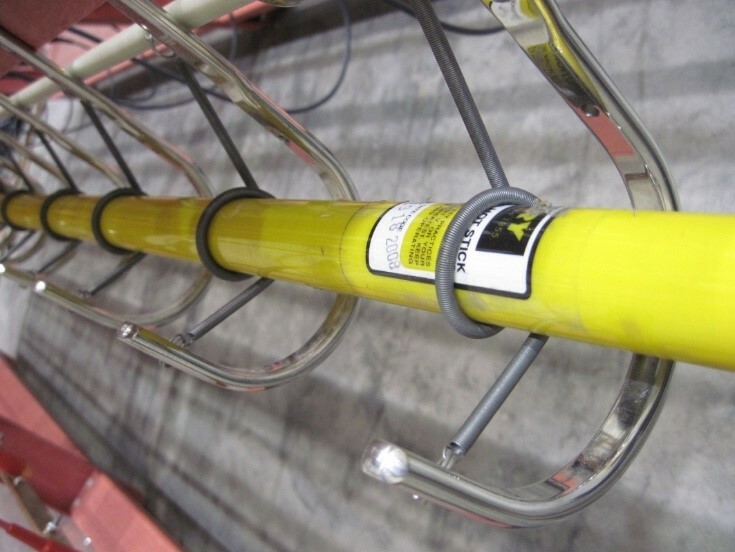 Item #1 shows the carrying handle that must be removed from both ends of the unit before unfolding. Two pins must be removed before detaching the handle. After the handles are removed, the unit must be unfolded. 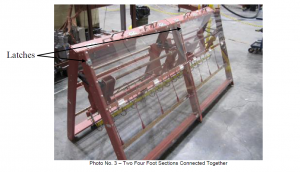 Spread the bottoms of the legs of the unit away from each other until the restraining straps are tight and an A-frame configuration in created. The Phenix TS-PSSTR is designed the test a hot stick in six inch (0.5 foot) sections.